Alejandro Tapia y Rivera (1826–1882) was a Puerto Rican poet, dramaturg, essayist and writer. Tapia is widely considered to the father of Puerto Rican literature and one who has contributed the most to the cultural advancement of Puerto Rico's literature. In addition to his writing, he was also an abolitionist and a women's rights advocate. In many ways, the writings of Don Alejandro Tapia y Rivera mark the beginning of Puerto Rican literature. Tapia’s work constitutes the beginnings of a unique Puerto Rican identity, which remains as contested as its nationhood. One of Tapia's most important works was his play, La Cuarterona, the tragic love story of Carlos, a young Cuban who falls in love with Julia, a childhood friend. However, racial, class, and status divisions keep them apart—he is from a white land-owning family and she is the daughter of a slave. This translation of La Cuarterona is long overdue. Theater was the genre Tapia most cultivated, yet until now none of his plays (and only two of his other works) has been translated into English. The translation of such important works is pivotal because it facilitates communication across cultures and cultivates interest in the traditions of others. 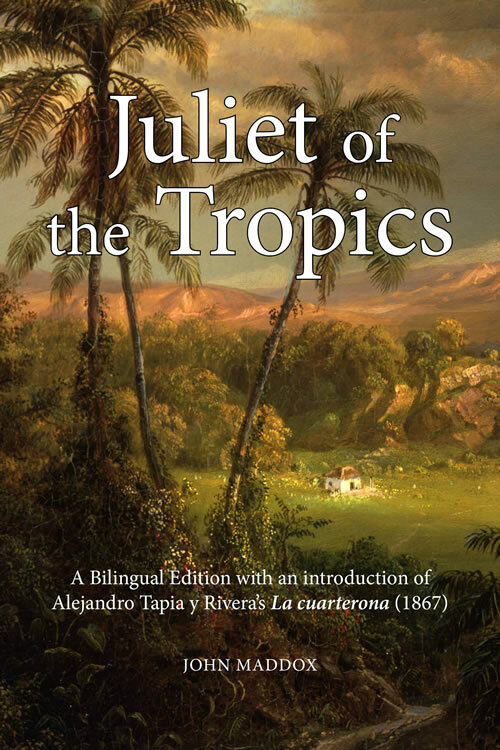 Translations of foundational national classics like this play may be as much a celebration, preservation, and promotion of Puerto Rican literature as any performance, re-edition, or publication of Tapia’s work. This work thus provides a new window into the literary contribution of Don Alejandro Tapia y Rivera and the cultural heritage of Puerto Rico. This first translation with a critical introduction and an exhaustive bibliography on Tapia, is a useful contribution to the study of drama, African slavery and its abolition, Hispanic literature and culture, Puerto Rican studies, women’s studies, colonial and post-colonial studies, human rights, and the history of the Atlantic World.